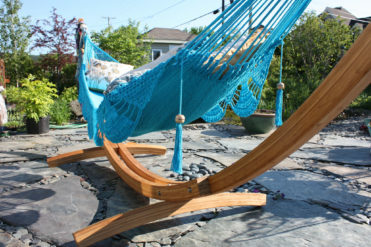 Set the standard in your outdoor space when you use this Bamboo Hammock Stand to hang your favorite comfortable hammock. The curved design on this bamboo stand offers an elegant yet modern look to accentuate any decor, and it will match with any color or style hammock of your choice. This gorgeous stand raises the bar for all the other bamboo stands on the market, and it won’t disappoint! 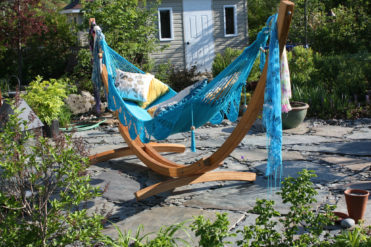 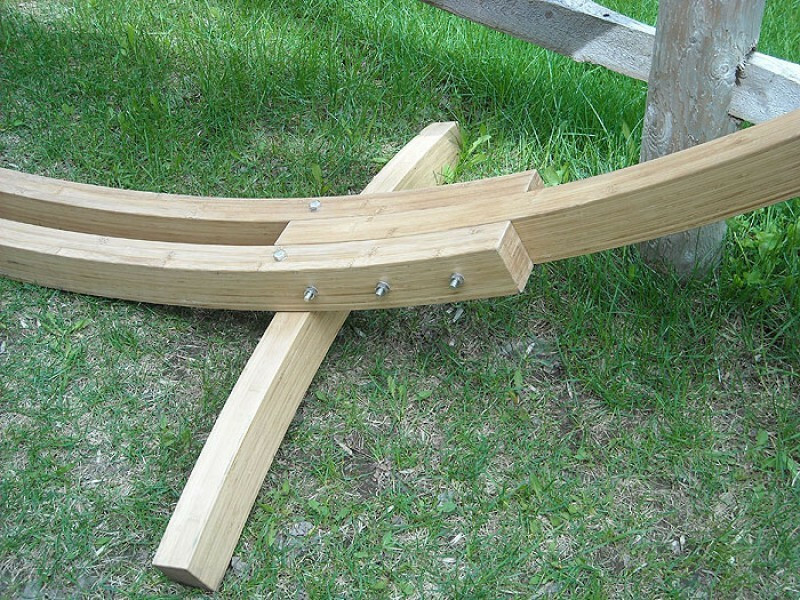 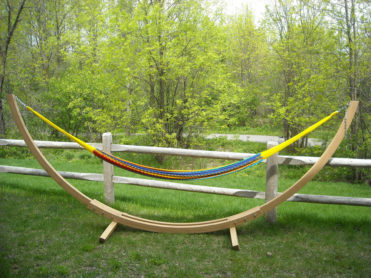 It will look great with your hammock as it sits on lush green grass outside your home or summer cottage. 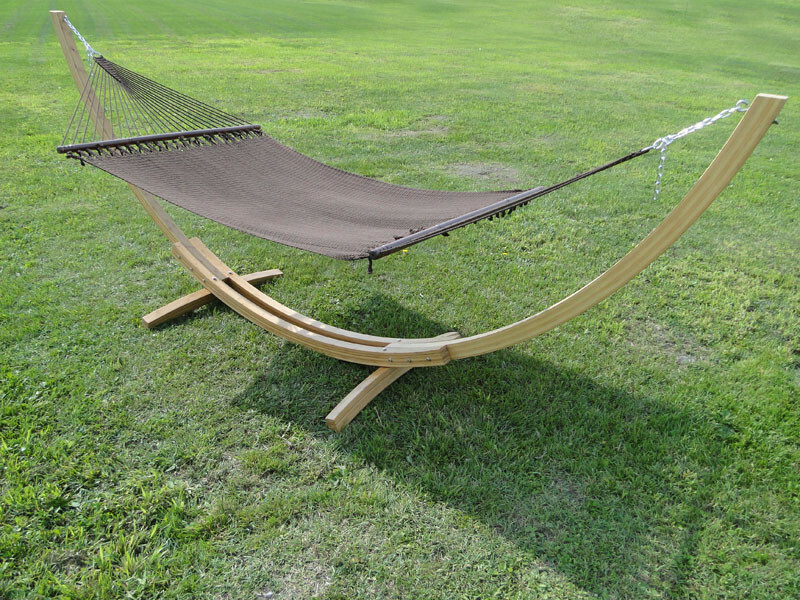 Take your relaxation time to a whole new level when you use this bamboo stand to hold your hammock. 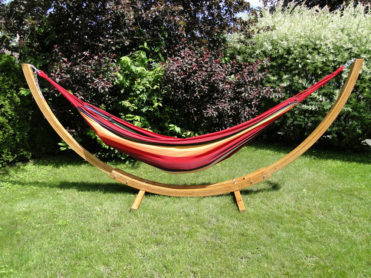 The bamboo wood construction on this hammock is harder than steel, which makes it impervious to damage from nicks and dents. 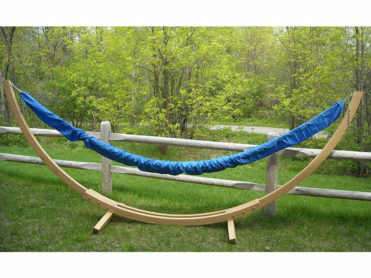 Designed for outdoor use, this outdoor stand is waterproof and humidity-resistant, and is virtually maintenance-free! 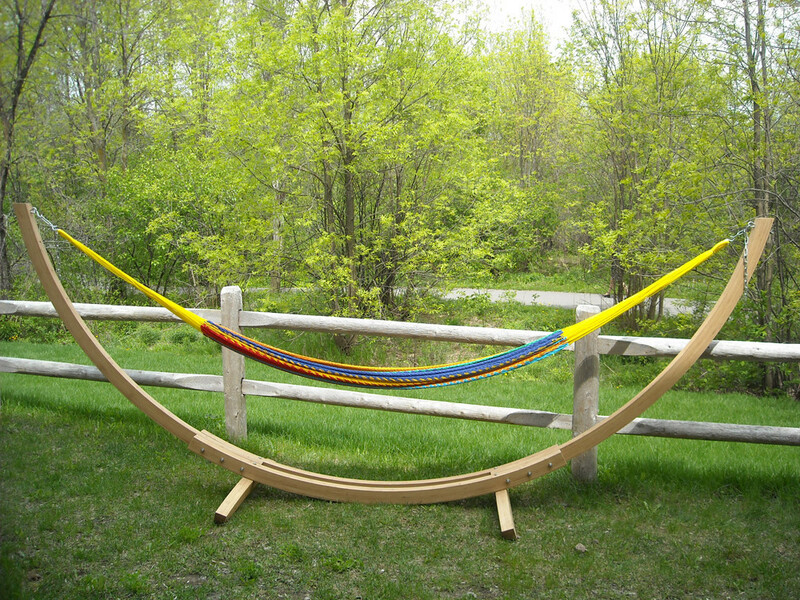 Crafted from durable, eco-friendly solid multi-ply bamboo board, it’s stronger than birch, hardwood, or cypress. 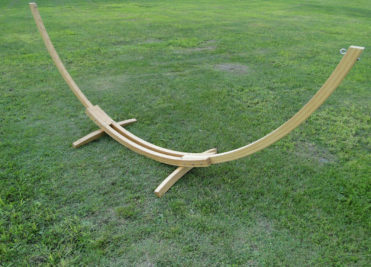 The beautiful color on this stand is natural, not stained, and will blend nicely with any decoration. 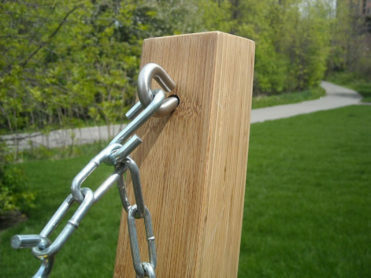 Set-up is extremely easy and can be completed in less than 10 minutes.